He’s built an empire worth millions but will it fall around him? 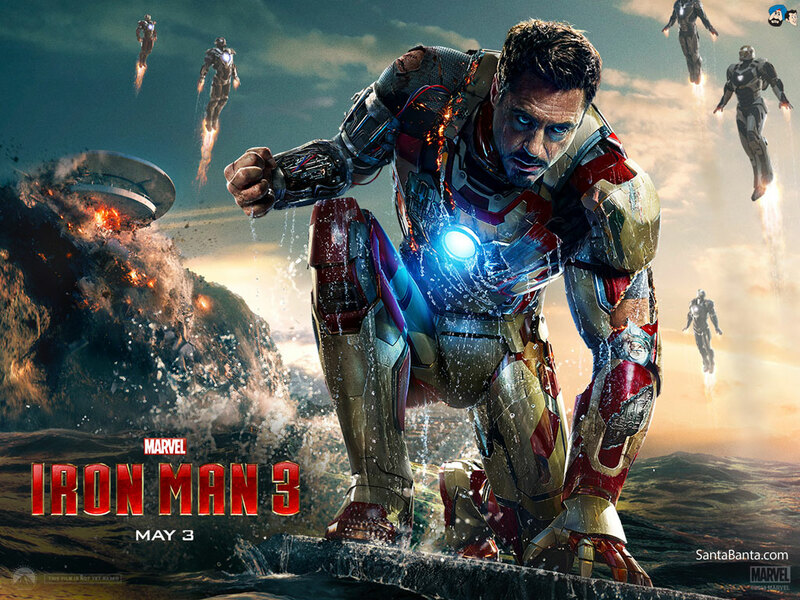 I’m talking about Iron Man 3 which could be the thrilling finale to the Iron Man series. This could be the end of the Iron Man series as Shane Black is talking about an iron Man 4 and 5 but Downey is not to sure. After the success of The Avengers last year as they made 1.5 billion dollars worldwide at the box office in the US more individual character films are due to be released. The sequels to Captain America and Thor are due to be released in the USA in the next 12 months or so. But first to take the spotlight (as he always does) is Iron Man. When Iron Man first hit cinemas in 2008 it was a complete wildcard nobody knew whether it was going to make hundreds or thousands. But obviously after making almost one billion dollars at the box office in the US along came Iron Man 2 and 3. As the first two films were directed by Jon Favreau it’s Shane Black who takes over for the third instalment of the epic series. (Directed by Jon Favreau) you may think that Shane Black will change the film but trust me this film still shows iron man in all his shining glory. Some of the plot of the film has been pulled out of the Marvel comic book series and I think that’s what makes it so unique. Also there is a real twist to the film but I will let you see that for yourselves. The film is really fun to watch if you are into action thrillers and is extremely enjoyable. I highly recommend this film and I give it 4 stars Robert Downey jr is brilliant and the story will have you on the edge of your seat. The film is in cinemas now rated 12a (I highly recommend you go and watch it). And if you want to see more of Iron Man I recommend for you to see The Avengers (2012). I’ll admit, before we even begin, I have never seen the musical, or read the book, of Les Miserables. So I’m going to have to judge this with no prior knowledge. But a good film should stand on its own merit. So does it? Firstly the singing, arguably the most important aspect. On the whole very good, with a few dubious notes from Russell Crowe. From my limited understanding, there is no dialogue in the musical, and the small added parts I felt didn’t flow well, and was unneeded in most instances. Anne Hathaway was heartbreaking as Fantine, and Hugh Jackman was excellent as Valjean. They deserve whatever awards and nominations they get. 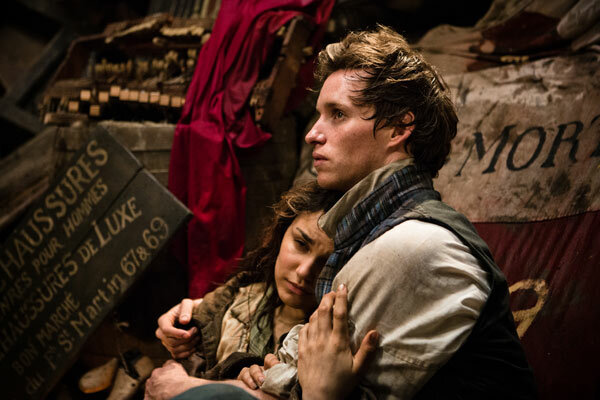 Samantha Barks and Eddie Redmayne were also notable as Eponine and Marius. The plot was easy to follow, despite being almost entirely sung, and all the actors were able to convey the character’s emotions outstandingly through song. My major gripe with the plot (there had to be one) was the Disney-princess-esque romance between Cosette and Marius (they kind of catch each other’s eye in a busy market, and then BAM, ‘You are the very thing that gives my life meaning’ and all that. It took me longer to type this out than that took to happen.) but once again I know they were incredibly pressed for time, and this my also be a fault in the musical, so there isn’t much they could have done. So on the whole, an enjoyable, if not completely tragic, experience. I would Recommend. A word of advice, don’t form an attachment to any of the main characters. Probably a goner by the second half. Before I say anything about this film, I’ll hold my hands up – I’m biased. I can’t stand the Twilight Saga. I read the books, and saw the previous films, and in my opinion they don’t deserve their wild success. I nevertheless decided, since it was the last one, to try and judge this film on its own merits, despite my low expectations from its predecessors. I’ll let you be the judge of how well that went. Firstly – the positives. The animation on the werewolves is pretty good, and has been consistently throughout the series. (The CGI baby however, was the most frightening thing in the film). I enjoyed Michael Sheen’s performance, and that of the other Volturi members, as the delightfully creepy members of the vampire ruling class (I for one prefer my vampires bloodthirsty). I thought the battle scene was well choreographed and had just the right amount of senseless violence. Now the easier part. Instead of listing flaws which countless others have thoroughly explored, I’ll just tell you about the main chip in my own shoulder. I genuinely believe they couldn’t have done better with their source material. Because my main problem is the story. There are no consequences, or really any threat, to Bella getting everything that she wants; Alice’s battle vision was my favourite part of the film – (And not, as you may cynically suggest, because I wanted the cast to be brutally murdered) -because Bella actually loses something, and would have had to struggle to overcome the aftermath of her decisions, making the audience care about the resolution, and empathise with the character. Despite being portrayed as the “girl next door”, Bella Swan just isn’t convincing as a real person. She mopes, gets stared at for long periods of time, gets bitten and becomes superhuman and immortal. Happily ever after. The end. She even gets a loophole written in to overcome the whole “undead can’t have children” thing – she never works towards anything, so she loses nothing. And if Stephenie Meyer isn’t invested in Bella Swan, why should I be? The first film in this three part film adaption of Tolkien’s ‘The Hobbit’ had everything you would want from a fantasy adventure film; suspense, comedy and danger. 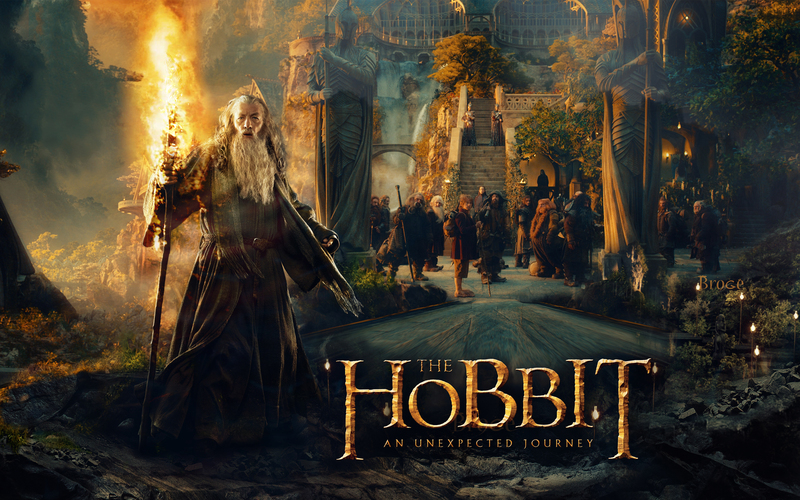 The film follows the unexpected adventure that the Hobbit, Bilbo Baggins undertook earlier in his life. I thoroughly enjoyed the film as the acting from all the cast was brilliant. Also the scenery and costumes were spectacular transporting the audience to the fantasy place of Middle-Earth. I watched the film in 2D but I think certain scenes would have been amazing to watch in 3D, particularly the fight scenes. However there were parts of the film which seemed to go quite slowly particularly the beginning, which is to be expected as a lot of the backstory was played out. But once the action starts the pace is quicker and although it is a long film it does not feel that long. I would definitely recommend this film even if you have not seen the ‘Lord of the Rings’ trilogy. I myself have not watched them nor read the book. I strongly recommend joining Bilbo on this epic adventure. 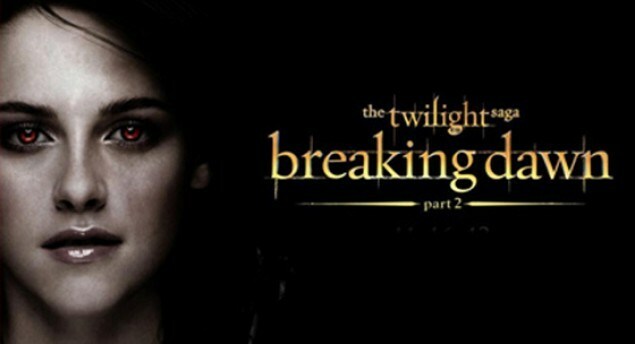 Review of The Twilight Saga: Breaking Dawn – Part 2 by YC Danielle John. 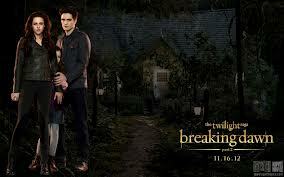 The last ever Twilight film lived up to its high expectations. Bella’s transformation into a vampire was now complete and the audience followed her unusual journey with delight. Any Twilight fan would be thrilled at the happy ending for Bella and Edward. Although perhaps quite flat compared to the cliff-hangers of the other films the ending was a well-deserved one for the couple who had a very turbulent relationship. The acting and special effects were brilliant. For me the best part of the film was the addition of the scene with the Volturi, the atmosphere in the cinema could have been cut with a knife. There were many whispers that this was not in the book and at one point the whole cinema gasped. I like many sat dumbfounded as the film quickly steered away from the book, a very exciting twist to the tale. The film was an amazing finale to a great series and I thoroughly enjoyed it. Although I think mainly Twilight fans would enjoy this film.